I am a quilter. I am also, or can be a procrastinator. I recently found two perfect examples of this combined talent of quilting and procrastination. This is a New York beauty wall hanging that I sewed at the very first Quilting on the Prairie Retreat for Prairie Point Junction. 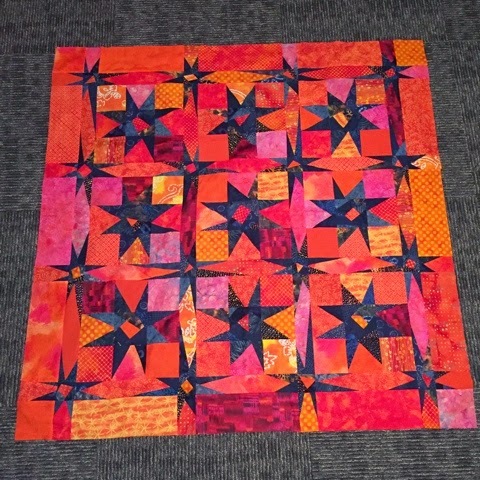 I have had the top done since the retreat, but have been intimidated by the thought of quilting it. Solution, have someone else quilt it for you. I will be mailing this off soon for the fabulous Julie Linn to work her magic. This project is one of my favorite quilts to date. This quilt has been safely store away since 2006 from another Prairie Point Junction retreat. I think I thought I had a LOT of sewing left to complete it. So I didn't take it out of its safe place. But wheni did, to my surprise all I had remaining was the outside border. It took me an hour to finish this quilt. So, procrastination allowed this project to remain unfinished for 9 years to only require 1 hour of my time to complete it. Why? Why? Why? I don't know, but am super excited to have it done. And super excited that Betsy was willing to quilt it for me. I just need to make sure it doesn't take me another 9 years to bind it. 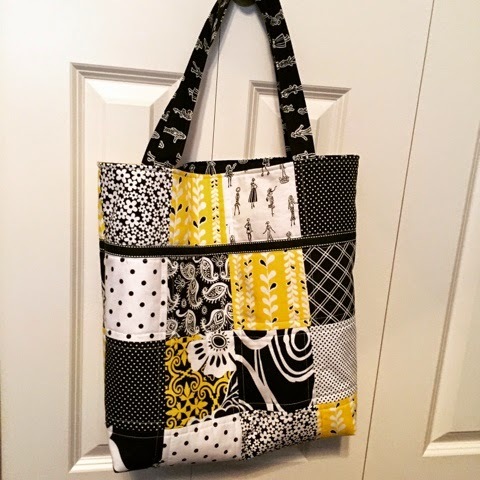 This is a quick charm tote bag. I had the front and back pieced for a while, not exactly sure the vintage. 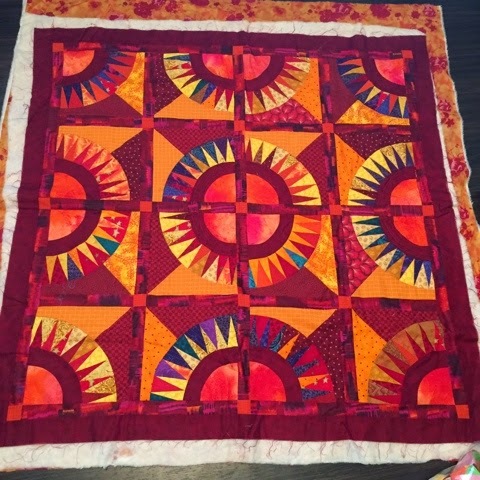 But it took an evening to quilt and assemble it so that I could donate it to the upcoming Legendary Raffle for the Wear Yellow Nebraska fundraiser. Love the look! And, lucky me I found about 5+ other tote bags that I have started but not finished. Hopefully this trend of finishing UFO's continues. Wish me luck!